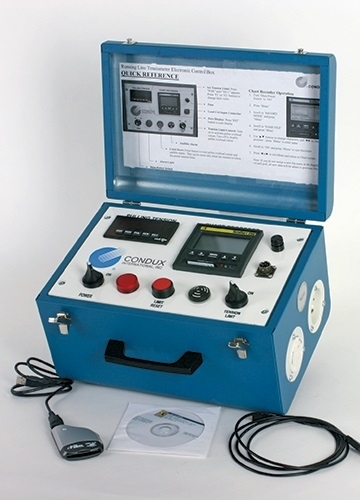 The Condux Running Line Tensiometer, used with the Condux CableGlider® Cable Pullers will give accurate measurements of the force exerted on a cable as it is installed. 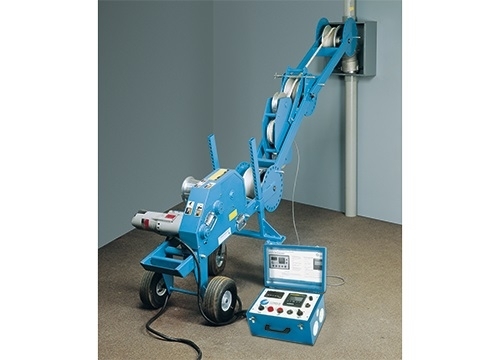 It consists of two components: Mechanical Sensing Unit (which mounts directly to the cable puller) and the Electronic Control Box. 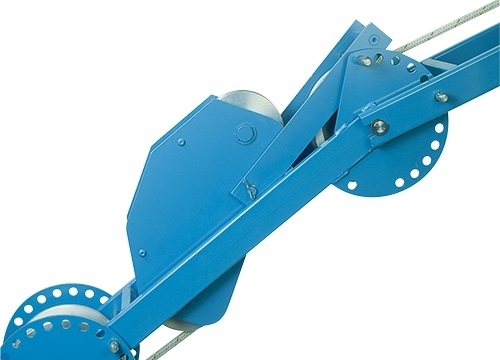 The unit will accommodate pull tape and rope up to and including 7⁄8" diameter with an accuracy of ±5% of full scale. 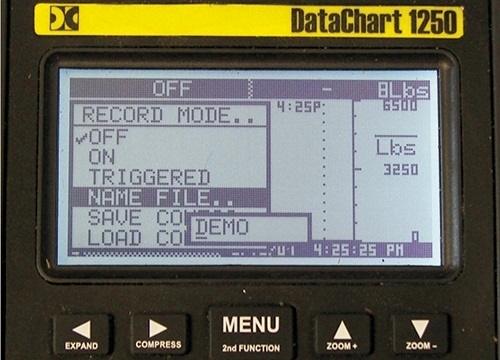 Load handling capabilities and other specifications are determined by the model used.